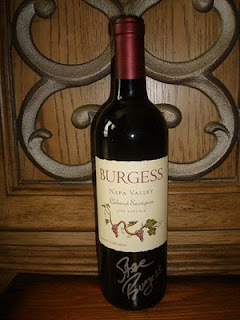 The Tasting Room has added the 2006 Burgess Cellars Napa Valley Estate Cabernet Sauvignon to its wine list. To promote their latest addition, Steve Burgess came to Houston to meet and greet with local wine lovers at the Uptown Park location. Although Steve grew up on the Burgess property, he did not join the family business until 2005. He helps out with all aspects of the business but primarily focuses on sales and marketing. Their Cabernet is blended with some Cab Franc, Merlot, Malbec and Petite Verdot. It starts with spicy aromas with ripe berries. It has rich flavors of blackberry, cherry and cocoa with just a bit of oak. It is full-bodied with smooth tannins and a long creamy, hint of vanilla finish. I was lucky enough to get to taste their Merlot and Syrah as well. The Merlot is a 100% varietal and to quote Steve, "a real crowd pleaser"; it is one of those Cab-lover Merlots. Full-bodied, with rich aromas of black cherries and plums, same flavor profile with a hint of mint or eucalyptus and a touch of smoke, ending with a silky finish. Their Syrah is blended with Grenache, it has aromas of blueberries and raspberries with a bit of licorice, fruity flavors of mixed berries and cherries with some chocolate to balance the slightly oaky, more firmly tannic finish. Both promise to be very food-friendly. Burgess Cellars has an outstanding reputation for making wines that are all perfectly balanced due to a true understanding of how best to utilize their terroir. All of their wines are crafted from estate grapes sourced from their three vineyards. 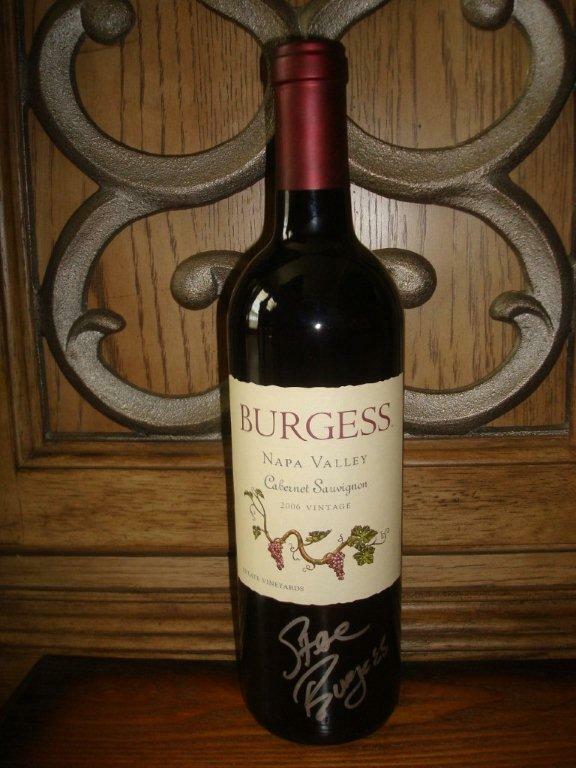 The 2006 Burgess Cellars Napa Valley Estate Cabernet Sauvignon is a must-try on your next visit to TTR.